Rolling Waves 3 is absolute beach front. 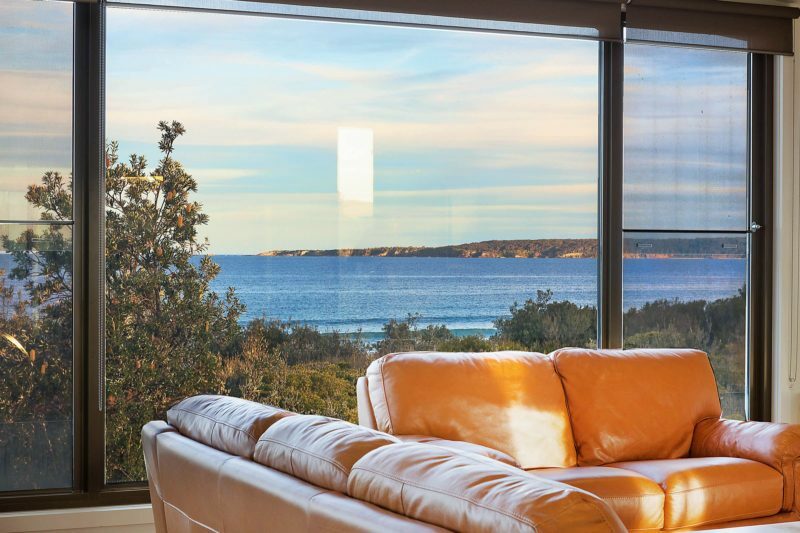 Few properties are private, exclusive, and have direct access to Merimbula’s main surf beach. 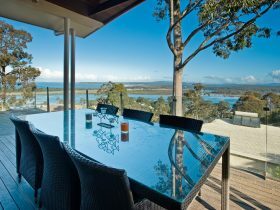 Even fewer also boast incredible ocean views which extend from Bar Beach and Merimbula’s Wharf to Pambula Beach. 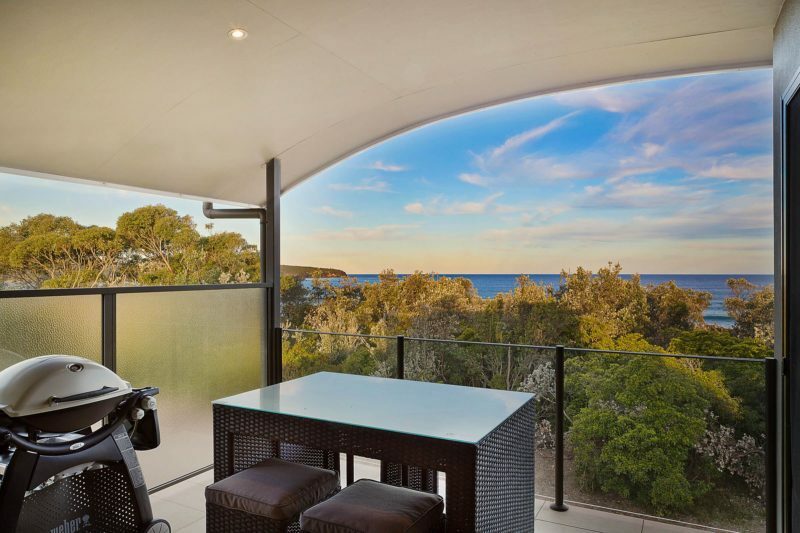 Rolling Waves 3 is a truly remarkable property. 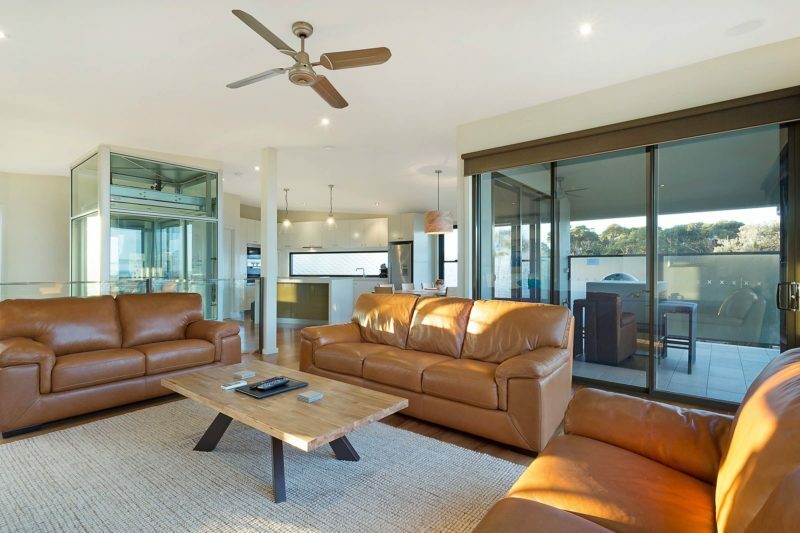 The living space is on the top floor to capitalise on those incredible ocean views. 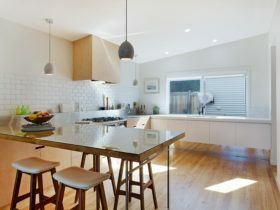 There is a designer kitchen with stone bench tops, open plan living, timber floors throughout and a bathroom on each level. The living adjoins the alfresco area with views all round! 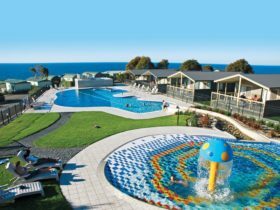 With two bedrooms and a bathroom on the second level and a further bedroom on the ground floor, Rolling Waves is not only ideal for families, but also for couples wishing to find a quiet coastal retreat. 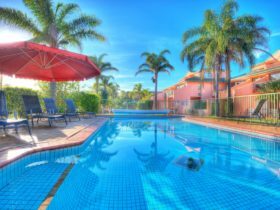 Special features include an internal/private lift servicing all floors, a pod coffee machine, free WiFi, games console, Foxtel television channels, and a double lockup garage. If you would like to bring your pet with you there’s a fenced yard on the lower level, with access through the garage. You would be required to bring your pets bedding. 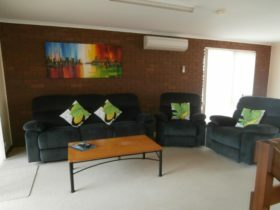 Although pets are allowed inside they are not allowed on the soft furnishings or in any of the bedrooms.